Flamingods is a band unlike any other. With a name derived from the pink bird found in the bands’ native homeland of Bahrain, this 5-piece certainly lives up to the colourful and exotic imagery evoked by their moniker. The bands’ range influence span all across the globe, borrowing influencefrom traditional eastern music, latin rhythms and African amongst to name a few all the while experimenting with any type of instrument that they may cross paths with. 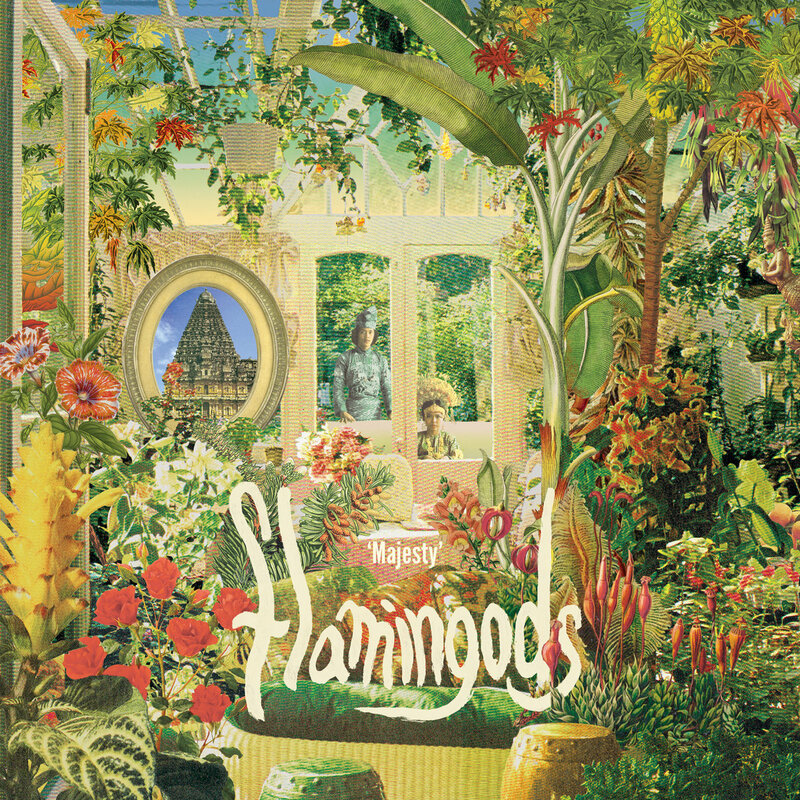 The resulting outcome of this exotic blend gives the unique and wonderful sound of Flamingods, once again shining in living color on the bands’ latest full-length effort Majesty and further vivified in the context of their dynamic live sets. I met up with the band prior to their gig at the local Mécanique Ondulatoire of Paris for a quick interview with these scavengers of new musical horizons. Through this conversation with these musicians kind, jovial folks, I would soon discover greater a understanding of the bands’ music, paving the way for a deeper appreciation of the bands through the accounts of their experience and experimental approach to sound. I can only hope that you, fellow reader can come across a similar conclusion by reading these lines. Enjoy! So this is your first show in France? Craig: Actually no, we played in Grenoble. Kamal: We had played in Grenoble, but it was an unofficial gig. This amazing guy wrote us a message on Facebook and invited us to play in his hometown, so we went and we stayed at his parent’s place. He’s a young guy who plays in a few bands. Karthik: He’s in a band called Taulard (https://taulard.bandcamp.com/). We were just driving through France and we didn’t really have any shows booked so we asked if anybody wanted to book us and he was like “yeah!” (Laugh). Craig & Karthik: First time IN Paris actually. On your website and social media I’ve found you guys’ names but not which instruments you play. (someone from the venue calls Kamal down). Craig: Kamals’ got to soundcheck one of them. It’s the Taishōgoto. It’s got these strings stretched across a board, with these sort of typewriter keys. You strum it on one side and press down the keys on the other. It’s this lovely kind of drone instrument. We stick it through a distortion pedal and delays to get more sounds out of it. That’s quite a big one for us. Karthik: It’s a Japanese instrument. Karthik: Basically everyone plays everything, we all swap around a lot on stage. We have a lot of percussion; congos, bongos, a normal drumkit, samples… a lot of electronic stuff as well. We’ve got 2 SP-555’s. Craig: We’ve been upgrading. We used to have this small little keyboard, and now we’ve got these two massive Synths, but somehow the magic of the little keyboard gets lost when you move to the synth. We’re trying to figure out how to make the same songs sound as good. We experiment and we find ways. We could just keep on naming instruments we use but we don’t use them at all in the live shows. There’s been Zithers, some weird string instruments which I don’t know the name of.. There’s a thin guitar. For this current release you were all in the studio together this time then? Karthik: Last record was done over the internet, sending bits and pieces across. Craig: We started writing this record like that but then we came together. We knew what these songs were so we could start recording them in the studio properly, which is the first time we did that. We already did what we had done with the last record but we added new steps to it, so the process is bigger. It’s a bigger album. Did it require any adjustments in your way of working? Craig: Well because we wrote in the same way at first, it was easier to develop it. We had a much clearer idea going into the studio what these songs were. We started in one studio and finished in another one where the mad scientist was. Karthik: He was developing the sound actually. At first we thought we had everything recorded so we started mixing, but there was actually so much more that the tracks needed that were added. The first studio was more about going in, playing what you need to play and the guy will mix it. Like we said, the second studio was like a lab, so there was a lot of experimenting. Craig: It just came together in the second studio really, it just happened. Karthik: It was a good experience. I think we’ve learned and grown a lot as a band in terms of our recording process because it’s very different each time. Craig: We were making up the songs there and then also. I remember there was this Church next to us playing this ritualistic music also. It was a cool vibe. Craig: They were wearing big silver hats and silver robes, it was this crazy Nigerian church. Karthik: It was fun though, Kamal would have this melody on his xylophone and while he was recording he’d ask me to try and make a song out of it and I would. So that’s how we have all of these really random jams on the first album. So things got more structured over time. Craig: As we go on yeah, things are more structured. We have a lot clearer idea of what we’re doing in the studio. It’s been different on every album, it’s been fun for that reason. It’s always a fresh new experience. Karthik: Yeah, I’m intrigued to see what happens next. We’re thinking about maybe going away to record the next album in a different country and capture some new vibes some place more exotic. We want to take the other two guys because this album has something special about recording with them, it was really good. 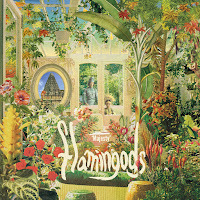 From what I understand, Flamingods started out as a bedroom project, am I right? Karthik: Yeah it started out as Kamal’s bedroom project for a year I think, but it wasn’t really Flamingods. Craig: It wasn’t really structured. At the time he was playing in an Indie band with Sam and I had started becoming better friends with Kamal. We just jammed and played with this loop pedal and made some recordings. Karthik: I think all of us were jamming independently with Kamal. Craig: I also jam with Charles, so it’s all intermingled. Karthik: It was around 2012 when it all came together as Flamingods, around the time the first tape came out, which was Sun. Craig: The song I wrote is on that tape and I wasn’t in the band then! It was just part of us just playing around. It was all just for fun at first. Then Kamal asked us to play a gig with him when he was in London. Karthik: The first ever gig that we played as a band was booked by a person who is now our manager 6 years later. For six years we didn’t see him, didn’t speak to him, and now we’ve come back to our roots, so that’s pretty cool. So you all knew each other for quite some time and had been working together before the band got together? Karthik: Well I met them in London, these guys all went to school together in Bahrein. I grew up in Saudia Arabia, Dubai, Albania… I’ve been moving around quite a lot. I guess that’s why it works musically. Craig: We have the right things in common. We also have a lot of differences, which is good. We check each other, make each other angry, make each other happy… we teach each other (smiles). Its’ enriching. What about your musical backgrounds. 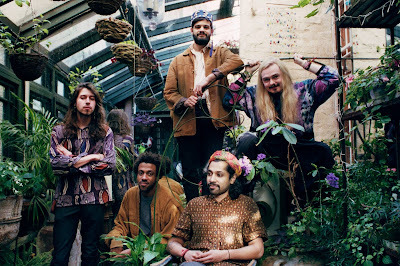 Craig: The best thing I can say is that we all really like to explore and that’s why Flamingods kind of naturally became a very explorative, experimental band that finds sounds and new ways to do things. What kind of music and what instruments did you start off on? Karthik: Me, Craig and Sam were playing music from quite young. Charles, taught himself guitar and Kamal has no formal training. I think he brings a lot of the explorative side. Craig: I don’t know, I don’t really like to think as a musician. When I was a kid I just wanted to be good at my instrument and stuff, but it changed very quickly once I discovered a few things. It probably sounds cheesy but I think as myself more as an artist than a “musician”, though with strong musical “leanings” I guess. Karthik: Where we are right now is that everyone feels comfortable to pick up an instrument and make sound out of it rather than being strict into one particular thing. Craig: We don’t talk about it much these days. We just generally have an overhanging punk mindset to some of the things we do, which used to talk about a lot more back when the music sounded more rough in the recordings. I still kind of feel that. Your music includes instruments from around the world. Do you use these instruments with regards to their original musical context and tradition or do you take a more intuitive, experimental approach? Craig: It’s generally an intuitive, experimental approach. We don’t really want to just recreate what they’re making, but we are interested in the instrument itself. An instrument is a source of inspiration in and of itself. It gives you ideas and you can see what you can do with it. Sam just got a Sitar pedal for his bass guitar for example. It’s not an eastern “thing” but it’s based on an eastern sound I guess. Karthik: We do this kind of switch where we make western instruments sound more eastern and use eastern instruments to take them out of context. We try to listen to how it sounds if we just pick it up during a jam. Craig: We ever try to recreate or reimagine something that is from another culture, it’s not necessarily the music but rather about getting a picture of a ritual in our mind and put it into our music. The images can be really blurry in our minds, and we’ll just create a blurry sound out of that. Would you say that your music can be attributed to a specific culture ? I understand most of you come from the Bahrein. Do feel that influence in the music? Craig: Well it probably explains why there are a lot of percussive elements. You can especially hear it with the Doumbek percussions and some of the rhythms. 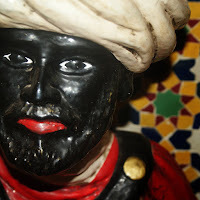 I think the strongest influences are arabic and african rhythms. There have also been a lot of latin rhythms in the past few years. Karthik: It depends and whatever we’re listening to. We all listen to so much world music. 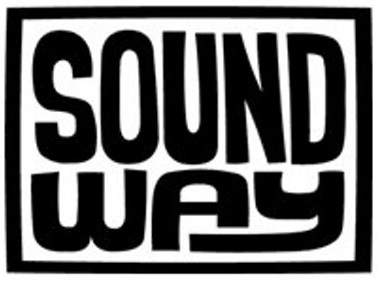 Then there’s also Soundway Records, our new record label that we signed. They used to do a lot of reissues of Highlife and Nigerian or Ghanian music. They did Sounds of Siam also. 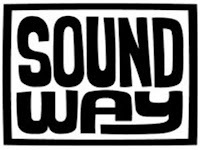 Craig: A lot of it finds its way into our music. You’ll soon be releasing your next full-length record, Majesty, which is a concept record. Could you tell us a bit about the concept behind the record? Karthik: It’s a story about this character called Yuka is searching for enlightenment through a forrest. Basically one half of the record is light and the other is dark, with the light side being about him finding enlightement. It’s also about how our music makes us feel also I guess. Would you see there are any religious undertones to this idea of enlightenment? Karthik: No, there’s nothing religious in there. Craig: As close as it gets to religion, there’s a sort of “spirituality” I guess. There’s a bit of a spiritual journey in there. The main concept, very briefly put, is that of a spiritual journey, with its lighter side and darker side. I guess the details are in the lyrics, but we don’t have a set “Synopsis”. It’s meant to be a bit “interpretable” as well. People can make their own interpretation from it. Karthik: We’re not necessarily trying to convey a message. We’re not saying “This is a spiritual journey, you need to …”. It’s more of just an open thing. People can take it however they want. Could you give us a few explanations as to the song titles on the records that may not be transparent to western audiences? Karthik: Well Kamal writes all of the lyrics and the names. From what I know however, like with Rhama and Anya, they’re just words that he heard that sounded really nice. For Rhama, there’s a record-label in Singapore that wanted to reissue one of our albums, and the guys’ name was Rhama. Kamal just thought “That’s a really nice name…”. In the same way that we use instruments, he uses titles and words that just sound nice, it doesn’t necessarily have to be in context. If you use that word out of context and apply it to something new, does it sound right? The words and the music become synonymous. Craig: It’s not a new thing either. On the first album Sun, there’s this song called Quesso. The closest real word to that is “Queso” which is the Spanish word for “Cheese”. It was just a word that Kamal and Charles liked to throw around.. “Quesso!”. It kind of meant something like “Alriiight!”. They’d go “Quessooo!” and nod their heads. It’s a reappropriation of words I guess. You can do what you want with words. How would you describe your live performances compared to your studio efforts? Karthik: It’s got a lot more high energy. This is something that we’re trying to change now to bring it down a little bit before bringing it back upwards. Before the sets would just keep building and building whereas now we’re trying to level it out a little more. There’s still quite a lot of high energy, whereas our studio stuff shows a different aspect of our band. Craig: In terms of the jamming aspect, we don’t have any “jam song” where we just don’t know what’s going to happen. We always have a structure, but there are some elements where we might do one version or we might do another. Some songs may vary in length. There’s always someone who leads and we vibe off of the crowd. It’s kind of like reading the room, the gig “style”. We have had some shows that have required a lot of improvisation. We’ve had to cut songs or add songs for whatever circumstances. There’s no telling how a live show might go. I have no idea how to picture tonights’ show until we’re in the room onstage and things just start happening. When you’re always swapping around, it just brings another level of improvisation that isn’t just in the music you play but how you go about it and communicate with each other. Karthik: Another big difference is that we have live visuals. Our shows are more of an audiovisual thing rather than just watching us play. Niall (who just walked into the room), I guess you can talk about your setup. Niall Trask : I have a mixer and through that I have a sample pad with visuals spinning around. Then there’s my video hardware which reacts to audio. It changes at every show depending on how the space is and how much room I have. Karthik: It’s a really big part of the live shows, it makes the whole thing more immersive whereas when you’re listening to the album you’re just listening to music. Niall Trask : The more equipment I get, the more kinetic the visuals get. Do you know in advance who’s going to switch instruments with whom? Craig: Yeah. If it doesn’t go like that, it’s just because something went wrong and we had to improvise around that. One time I had a technical difficulty on the bass guitar so I just grabbed a guitar and had to rewrite my part to mimic the base while suiting the guitar as well. It was actually pretty fun. But usually we know who’s going to try do what and at what time. Karthik: At the beginning it was really hard to remember who was going to be where and where to move onstage. We got better at it. Have you noticed any differences in the way audiences react to your music? Craig: We haven’t got to play in a lot of the countries that these instruments have come from, it’s mostly been around Europe. The farthest we’ve gone to is Dubai and Bahrein and people just liked the sound rush and energy of the shows. Different countries have their own “flavours”. Karthik: Like in Scotland! We played that show and everyone was doing a jig! (laugh). Remember that. Craig: Oooh, when we were playing Gojira and everyone is spaced out and going crazy. I guess the main difference is that in a lot of countries, people have fun, whereas in Switzerland people were just… dry. We played the show and that was it. We haven’t had the privilege to travel around to get a taste of how different “cultures” that are further removed from western cultures would think of it. I like to think that people would like it. We have Facebook friends from all around the place; Panama, Nepal. Any places you’d like to play in particular? Karthik: I want to play everywhere, man. Karthik: Yeah, everywhere. It’s amazing to see how people receive your music. It always seems quite positive. Craig: It’s really refreshing and inspiring to go around to new places, get new places. “THE WORLD, Maaan! I want it aaall!” (Laugh). Karthik: Baraka is probably one of my favorite films. Craig: We have done a score TO a bit of Baraka, so we’ll put that as our film pick. How do you feel about Sung Tongs by Animal Collective as our album pick? Rest of the band: Yeah! Craig: That’s a pretty sweet album. As to books… I read a lot of books… The Book of Disquiet by Fernando Pessoa. It’s a weird one. It’s dark and introspective. It’s collected from notes after his death, but it’s all fictional. It’s a good book, really well written. Thank you to the bands and to Elodie and the rest of HIM Media for making this article possible!